Remember Elsie's delicious Sugar and Spice Pumpkin Bread from Marigolds and Murder? We've got the recipe! Click the photo. Looking for the perfect pick-me-up treat? Try Elsie's Cherry, Chocolate and Pistachio Biscotti from Carnations and Chaos. Click the photo. 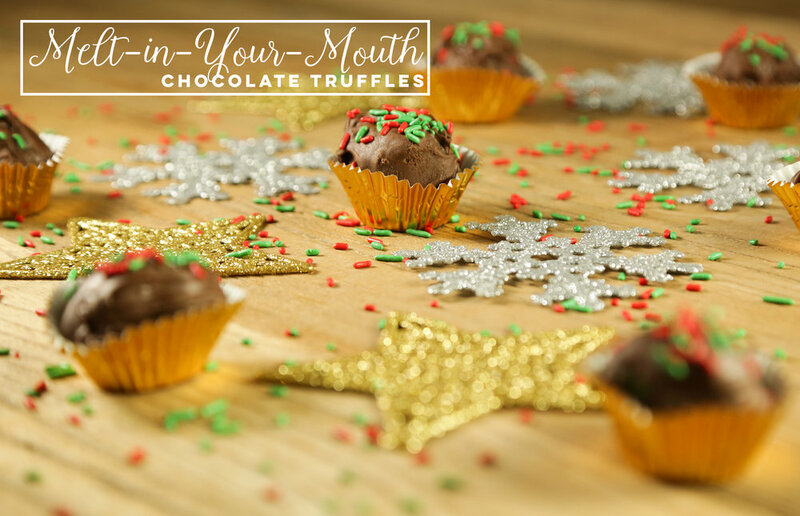 Elsie's decadent, melt-in-your-mouth chocolate truffles from Mistletoe and Mayhem are sure to become an instant holiday favorite. Click the photo. Elsie's Caramel Kisses from Roses and Revenge are the perfect treat for Valentine's Day—or, well, pretty much any day! Click the photo for recipe. These luscious, tangy lemon cupcakes are the perfect springtime dessert! Click the photo for recipe. This creamy layered dessert from Dahlias and Death is the perfect summertime treat! Click the photo for recipe. These tasty cookies from Peonies and Poison have tidbits of everything good--chocolate, toffee, nuts and dried cranberries. Click the photo for recipe. These delicious, flaky scones drizzled with maple glaze are just right paired with your favorite hot beverage. Click the photo for recipe. Enjoy a taste of summer no matter the weather with these juicy sweet tarts. Click the photo for recipe.